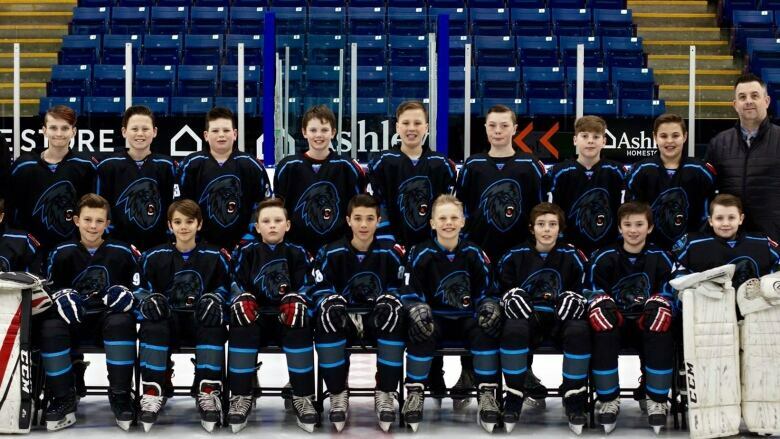 A peewee hockey team from Cranbrook is off to Japan next week, despite having $30,000 dollars allegedly stolen from travel money it raised. The Kootenay ICE Friendship Hockey Team has been fundraising for almost two years to go to Hachinohe, Japan for a tournament April 27 to May 5, 2019. The tournament is designed to foster friendship and fair play and the most goals scored doesn't necessarily determine the winner of a game. That makes what happened next, ironic. The peewee team's travel co-ordinator, Crystal Kenyon, says it came as a huge shock last week when they were going over final bills and financial statements and discovered thousands of dollars missing. "We were devastated and in shock. Nobody had any idea this was happening at all," said Kenyon. Kenyon says almost a third of the $100,000 dollars they raised could not be accounted for. Once the volunteer board realized the scope of the alleged theft, they went to the RCMP who initiated an investigation. Kenyon says they know who the suspect is but are not saying who that person is until the RCMP does its work. In the meantime, word circulated via social media throughout the Cranbrook area and people stepped up with last minute donations to make up the shortfall. "In 12 short hours, donations have been made & committed to our team of approximately $22,140.00. We are overwhelmed with gratitude from everyone's generosity," the post read. Kenyon says the trip is back on. The 51 players, parents and coaches leave next Tuesday for Japan.